Hi everyone! 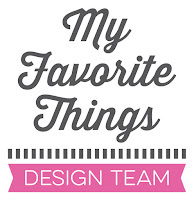 Today is the fourth day of the My Favorite Things February release countdown. This release is packed with amazing new products! Isn’t it? Most of the supplies I used for this project are linked at the bottom of this post. 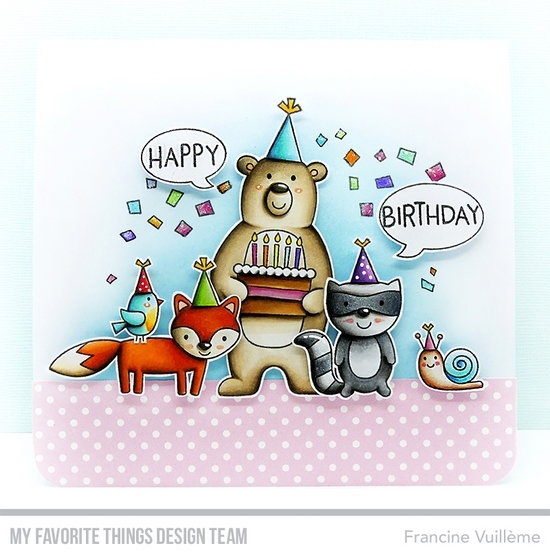 I almost used all critters from the Birthday Bear & Friends stamp set. 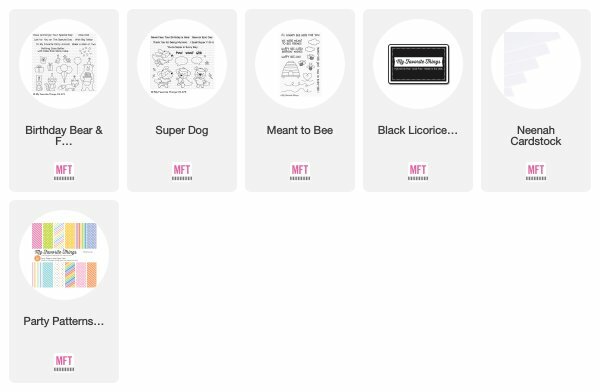 The speech bubbles are from the newest Super Dog stamp set. The Happy Birthday sentiment is from the Meant to Bee stamp set. The strip of pink dotted patterned paper that grounds the card is from the Party Patterns paper pack. Very festive card, great coloring. Sweet card Francine! Bold colors for the animals and light pastels for the background, super. Thanks for sharing with us. Looks like a fun birthday party! Thanks for inspiring us during this release, Francine...of course when I see your cards, I want to buy everything! So super cute and adorable!! The snail adds so much to the party animals!